Description - Shaw’s Camden Hills collection offers a rustic and modern engineered wood appearance for your hardwood flooring needs. These planks have a hand scraped distressed finish and a contoured beveled edge for the finest of hardwood flooring options. Engineered hardwood flooring has more resistance to high moisture levels than solid hardwood, providing planks that are more stable and can be installed on any level of your home. The Camden Hills collection also has a Janka hardness rating of 1657 and a manufacturer warranty of 50 years. Material – Shaw’s engineered flooring is constructed with a wood core and finished with ScufResist Platinum. ScufResist Platinum is a UV-cured polyurethane finish with aluminum oxide. 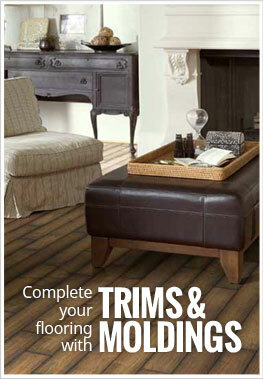 Size – The Camden Hills engineered planks are 5" wide and come in random lengths from 12" to 42". Average plank length is ~18". Thickness – Each plank is 1/2" thick. The wood veneer is 2mm thick. Weight – Each engineered wood plank weighs ~2.02 lbs per sq ft. Recommended Uses – Camden Hills planks are the perfect selection for residential or commercial applications. These engineered wood flooring boards have been effectively used in kitchens, family rooms, basements, offices, libraries, bedrooms of all ages, dens, model homes and many more areas. Handscraped with a beveled edge. More durable than traditional hardwood. This floor is worth the five stars! It looks great in my home and their sales reps were really helpful. I love the look of my new floor. It's quite an upgrade! Engineered wood is supposed to be a great alternative to hardwood flooring. I love it so far! Very pleased with the Western Sky color. This floor has transformed the look of my kitchen!